Could Aliens from Another Galaxy Travel to Earth? Is Life Sustainable in Outer Space? Has any Signal of Intelligent Life Come from Outer Space? Is It Theologically Possible for Other Alien Races to Exist in Addition to the Human Race? The fascination with UFOs is a world-wide phenomenon. This fascination is shown by the large numbers of people who went to see the UFO film, Independence Day, which grossed more in its first week than all other previous movies.8 Over 90 percent of UFOs turn out to be IFOs, that is, identified flying objects.9 Naturally occurring phenomena like balloons, searchlights, advanced aircraft, comets, bright meteors, ball lighting, twinkling stars,10 etc., are examples of things claimed to be UFOs. But many other people have definitely seen a phenomenon that cannot be explained naturally. This book will focus on the UFOs that are truly unidentifiable. It will show that they are not from the material world and are a spiritual phenomenon. UFOs have been tracked by scientists traveling at over 25,000 miles per hour.11 UFOs have also made right angle turns at an estimated 15,000 miles per hour.12 They have made 90 degree turns in mid air13 and they have instantly reversed direction while moving at these high speeds. Planes made by humans make sonic booms when they travel at such speeds, but UFOs make no sonic booms. In fact, in most sightings of UFOs, no noise is heard at all.14 UFOs have sometimes been picked up on radar, and other times they cannot be picked up on radar.15 UFOs sometimes show up on photographs, but other times they do not.16 While in flight UFOs frequently change size or shape in front of people,17 and they appear as strange lights. 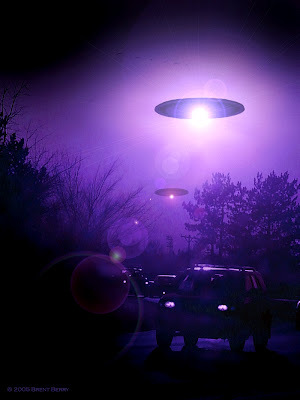 UFOs also change colors,18 many times only when accelerating, with virtually every color of the spectrum reported.19 Sometimes UFOs instantly appear and disappear in front of people and they will pass right through physical objects. People have also seen multiple UFOs merge into one UFO, and one UFO turn into many UFOs. There is no one that can explain, from a scientific standpoint, how it is possible for any material craft to do these things. Many have objected to the idea that UFOs are alien aircrafts precisely because UFOs have performed flying maneuvers that are impossible for any materially constructed craft. They violate the known laws of science. To find out more about what UFOs really are, we need to listen to what the world's top experts on UFOs have concluded about the UFO phenomenon. Does this make any sense? If some alien civilization were visiting or invading our world, their vehicles and personal appearance would look basically the same. There wouldn't be vast differences among the saucers and the appearances of the aliens. If aliens came from another galaxy, they would have to travel from a galaxy at least two million light years away. Even if they travelled at the speed of light (186,000 miles per second), it would take them two million years to get to earth. But what if the UFOs travelled from some distant star in our own galaxy? If these space travelers were to travel one million miles per day from the closest star system (alpha centuria) – which is more than twenty-five trillion miles from the earth – it would still take them 70,000 years to arrive at earth. Some estimates indicate that a space ship carrying ten people, and travelling five light years to and from a nearby star system at almost the speed of light, would use up 500,000 times the total amount of energy consumed in the US in one year.63 Also, an almost equal amount of energy would be consumed just in slowing the aircraft from the incredible speed at which it was travelling. For larger crafts, such as the city-sized spaceships shown in the UFO movie Independence Day, the required energy needed would be even more staggering.64 Scientists like Donald Menzel rejected ETs visiting earth because even the nearest stars are too far away for interstellar travel to be possible.65 But there are other problems with space travel. It has been estimated that there are 100,000 dust particles per cubic kilometer of space. Travelling at the speed of light (186,000 miles per second), an impact with even one of these tiny dust particles would destroy a spaceship. At one-tenth the speed of light, the impact would be equal to an explosion of almost ten tons of TNT.66 Based on these scientific facts alone, without even considering all of the others about the true nature of UFOs, space travel by some alien craft is extremely unlikely. While working at the Los Alamos, New Mexico nuclear facility in 1950, pioneer of atomic energy and Nobel Prize winner Enrico Fermi asked the following question: “Are we the only technologically advanced civilization in the universe, and if we are not, then where are they? Why haven't we seen any traces of extraterrestrial life such as probes or transmissions?”73 If some intelligent aircraft couldn't reach our solar system with an advanced aircraft, they would at least send us an intelligent radio signal. 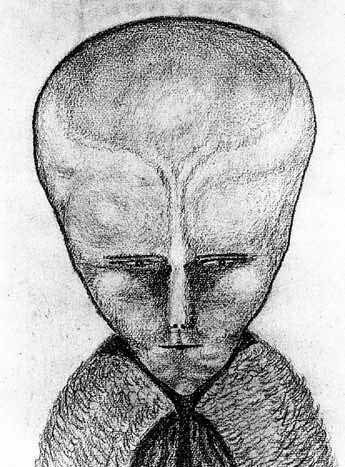 Crowley claims to have contacted an alien intelligence and he made a drawing of what it looked like in 1918. Crowley said the being was named Lam. It should be noted is regarded by occultists as a generic entity rather than an individual being. The drawing seems to bear a startling resemblance to the popular conception of a Gray. On the night of October 25, 1973, fifteen people, including a young farmer from Pennsylvania named Steven Pulaski, saw a bright red ball hovering over a field nearby. Steven took his rifle and went out to investigate. As the ball descended, its color changed from red to bright white. Screaming sounds could be heard nearby. Two creatures then appeared. They had greenish-yellow eyes and a burning rubber smell was around them. Steven got the sense that the creatures were not friendly, and fired a warning shot over their heads. The creatures continued approaching, so Steven fired directly at them. The creatures and the glowing object then instantly disappeared from the field. Other witnesses also heard the strange noises from the woods and noticed the creatures. A state trooper and UFO researchers were then called in to investigate. Upon arrival, the people there said that Steven had been violently flailing his arms and growling like an animal. Steven's own dog ran toward him, and Steven attacked his dog. Steven then made prophecies of doom in a mocking tone of voice, accompanied by laughter. Steven then collapsed and, after a short time, came to his senses. The group of people present during these events commented on the nauseating sulfur-like odor that was present.84 This odor is a characteristic of many UFO incidents. It should be noted that cases of demonic possession are also frequently characterized by horrible smells, including sulfur-like odors. In addition to the people who have claimed to see UFOs, there are others who have claimed to have been abducted by the “aliens” that they believe are flying in the UFOs. Whitley Strieber claims to have had real experiences of abduction by alien beings “on a non-physical level”85 on more than one occasion. He wrote of some of his experiences in his bestselling books, Communion and Transformation. These “aliens” are demons and bear the marks of demons. Here are more of the things that happened to abductees after they had contact with these aliens. The aliens altered the perception of their surroundings. Aliens would control what the abductees were seeing. They appeared under different forms and shapes. The aliens passed through walls and windows, and sometimes materialized and dematerialized directly in front of them. Aliens sometimes put marks or scars on the bodies of abductees. These marks have included bruises, cuts, single and multiple punctures, three and four-fingered claw marks, and triangles of every sort. If the alleged aliens have super-advanced technology, why would they need to repeatedly perform crude medical experiments on person after person to discover what they need to find out? Most of the abductees have reported being taken from their bedroom right before falling asleep. Typically, at the beginning of the abduction experience, the abductee reports paralysis, the freezing or slowing of time, or seeing a bright light, and the appearance of humanoid figures.134 This experience is not an abduction, but is in reality a visitation by a demon. Surveys have also confirmed that a vast majority of abductees have shown an interest in the New Age movement and Eastern religions. Many abductees have also claimed to have past involvement with astrology, astral projection, witchcraft, Ouija boards, and channeling.141 This supports the argument that UFO phenomena are a result of demonic activity. In 1969, the United States Printing Office published a 400-page document authored by Lynn Catoe called UFOs and Related Subjects, an Annotated Bibliography. Catoe was senior bibliographer for the Library of Congress. Catoe read over one thousand books, articles, and other literature during her investigation of UFOs.148 Catoe gave a general conclusion of her findings in the preface of her bibliography: “A large part of the available UFO literature is closely linked with mysticism and the metaphysical. It deals with subjects like mental telepathy, automatic writing and invisible entities as well as phenomena like poltergeist manifestations and possession. 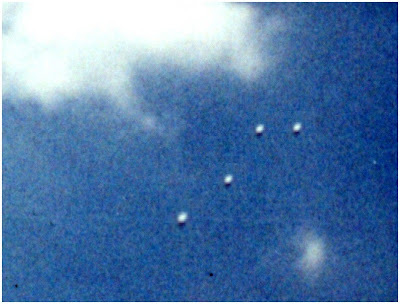 Many of the UFO reports now being published in the popular press recount alleged incidents that are strikingly similar to demonic possession and psychic phenomenon that have long been known to theologians and parapsychologists.”149 Catoe's document was compiled for the United States Air Force and is currently in the Library of Congress. 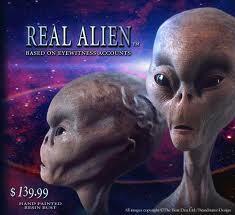 Real Alien = Real Demon. If you went to a bookstore to find a book on UFOs, you would probably find the book in the New Age/Occult section, not the science section.150 The belief in UFO contact through visits and communication with aliens is a part of the New Age philosophy. Most of the abductions happen at night time, and the person then wakes up. In their messages, the aliens have said the Bible is outdated or false, and that Jesus Christ is not God. The aliens say that we need to unite into a global religion and government.151 These aliens have also made false prophecies, promoted a false Jesus, and attempted to explain that sin doesn’t exist. 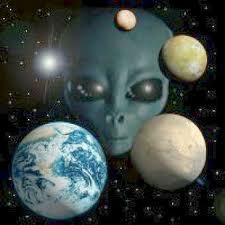 In their messages, the aliens say that they are our creators, but we can also evolve into gods. In some messages they say that everyone is God.152 This is simply the original temptation from the Devil in the Garden of Eden. “For God doth know that in the day ye eat thereof, then your eyes shall be opened, and ye shall be as gods, knowing good and evil” (Genesis 3:5). Also interesting is that certain aliens have warned of a time of tribulation and disasters which will occur in the near future. These predictions bear a close resemblance to certain predictions in the Bible. Their goal is to increase the credibility of their own message by incorporating elements of well known and true prophecies. Area 51 is a top secret government facility in Nevada. Top secret development and testing are performed there on experimental aircraft and weapon systems.155 Some of these top secret planes bear a resemblance to typical UFO craft sightings. Area 51 has been a test center for the U-2 spy plane, the SR-71 Blackbird reconnaissance plane, the F-117 fighter and bomber, and saucer-like aircrafts as well.156 The man-made tests that are being conducted on advanced aircraft at this place probably make up many of the reported “UFO Sightings” in the area. Sightings have been reported by people who believe that some of the strange planes or lights seen near Area 51 are from aliens. However, it's possible that some of the lights and strange things that people see at Area 51 are preternatural. It has been said that, in 1947, satanist Jack Parsons held a huge satanic ritual on the very spot where Area 51 is currently located. Parsons' magical ceremony was called the “Babylon Working” project. It was designed by Aleister Crowley – a satanist and a man who called himself “the beast 666.”157 The purpose of the series of magical ceremonies, on the spot where Area 51 is now located, was to unseal an inter-dimensional gateway. This, they hoped, would allow other dimensional entities known as the “Old Ones” access to our space/time continuum. During the ritual, the spirit of Antichrist was bestowed on Jack Parsons. One person claimed to witness Parsons rip a hole in space time and he said that something evil flew in. The culmination of the ceremonies was supposedly effective, having resulted in the establishment of “extra-terrestrial contact...”158 Jack Parsons was also a rocket designer who developed patented rocket technology which is still in use by NASA. NASA even named a crater on the far side of the moon in honor of Jack Parsons.159 Parsons held that Jesus Christ and His Church were the enemies of civilization. Parsons was chosen by Aleister Crowley to lead the satanic O.T.O. (Ordo Templi Orientalis) secret society in California in 1942.160 So, it would not be surprising at all that at Area 51, the very spot where this satanic gateway was opened, there would be many UFO sightings. These kinds of false signs and wonders were predicted to take place on the earth in the last days of the world. The Devil is powerless against God, and can only do what God allows him to do. However, to test the world in these last days, God has allowed the Devil to have significant power to attempt to deceive mankind. These false signs, such as UFOs, are done by demons “...according to the working of Satan with all power, signs and lying wonders” (II Thessalonians 2:9). If the aliens are all around us, why is it that no one has ever seen them getting out of their spacecrafts to eat or drink anything? We don’t see them landing to take some food and water back to their spacecraft. If the “aliens” really wanted to make contact with us, why would they land in remote areas and make personal contact with just a few people? Why wouldn’t the aliens land in a major city and appear in front of huge crowds of people? How come no one has found even one UFO landing area or base when there are so many in the air “flying around”? Why haven’t they landed and taken us over? If their intelligence and technology are more advanced than ours, they would have probably taken us over a long time ago. Or why would aliens have to endlessly observe our activity? If these aliens are as advanced as some people think, for them to just keep observing us for centuries or decades would be a complete waste of time and utterly stupid. Besides, the aliens would have detection devices that would have told them everything they needed to know a long time ago. If these super-advanced aliens are material beings, how could they instantly disappear and pass through walls and the ground, as they are said to do? No one has ever recovered even one alien, or even one piece of wreckage from an alien craft. Even the most famous UFO incident in history, the alleged crash of an alien aircraft near Roswell, New Mexico, is now not believed by a significant amount of UFO researchers to have involved any alien aircraft. Another skeptic of aliens said: “One would think that if aliens actually desired to make contact, that we would have at least one rock-solid, irrefutable close encounter of the third kind, complete with credible eyewitnesses and proof to substantiate it beyond question, before the military could seal off the area and deny everything.”165 The fact is that there has never been even one undeniable encounter with an alien that has ever been even reasonably verified. The reason for this is that there are no aliens. It’s all a highly sophisticated demonic deception. All these facts prove that UFOs and “aliens” are a spiritual phenomenon, not a material phenomenon. They come from another dimension, the spirit world right around us. UFOs are indeed false apparitions produced by Satan, the “prince of the power of the air” (Ephesians 2:2). The Bible doesn’t mention ETs. In Romans 5:12, it states: “through one man [Adam] sin entered the world.” The original Greek word for world is kosmos, which is usually translated to mean the entire universe. Also, Romans 8:22 says: “the whole creation groans and suffers” as a result of Adam’s sin. This would mean that alien beings in outer space which didn’t descend from Adam, would still suffer because of his original sin, which makes no sense. Jesus died once on planet Earth to save the sons of Adam, and He will not die again (Romans 6:9-10; 1 Peter 3:18). In the Bible, we see many supernatural objects described as wheels, pillars, thrones, chariots, lights and fire, balls of fire, flaming chariots, spinning objects, dark objects and shining clouds. These descriptions bear a striking resemblance to modern UFOs. These objects in the Bible have been described doing things such as flying, hovering, ascending, and descending. In Exodus chapters 7 & 8, we see that God allowed the Devil to imitate some of God’s wonders in order to deceive people. The Devil was allowed to cause physical changes to material things. Angels can take on many different forms and shapes. It would make sense, therefore, that if demons are fallen angels, they possess many of the same abilities which the faithful and good angels described in the Bible possess. Many people who say they have encountered aliens have described a reptilian likeness to their appearance. It’s very interesting that when Satan appeared to Eve in the Garden of Eden, he appeared in the form of a snake (a reptile). A snake may be the first thing that comes to a person’s mind when you hear the word reptile. You now have seen many facts which demonstrate that UFOs are demons. UFOs are Satan's trap for people: to convince us that there are aliens who are advanced races of beings who are watching us, visiting us, and with us. UFOs are Satan's trick that there are aliens who are about to make first contact or take us over soon. UFOs are spiritual materializations orchestrated by the Devil. UFOs are a monumental deception with the goal of robbing or corrupting faith in the one true God, Jesus Christ. UFOs are simply a massive demonic deception right from the pit of Hell. Help spread this critical information so that people will learn the real truth about Aliens & UFOs. 2 Dr. Jacques Vallee, Messengers of Deception, Daily Grail Publishing, Brisbane, Australia, 1979 (2008 printing), p. 258. 3 Gary Bates, Alien Intrusion, PO Box 726, Green Forest, AR, p. 16. Also see Gallup polls done in 1991 and 1996. 4 Paula Fredriksen, Apocalypse Soon, National Review, Dec. 31, 1996, p. 34, Suzanne McDermott, The Roswell incident, in Cyber Times, July 7, 1997. 5 Dr. Jacques Vallee, Messengers of Deception, Daily Grail Publishing, Brisbane, Australia, 1979 (2008 printing), p. 69. 6 David Benoit & Eric Barger, Entertaining Spirits Unaware. Heathstone Pub., Oklahoma City, OK, p. 71. 7 Gary Bates, Alien Intrusion, PO Box 726, Green Forest, AR, p. 16. 9 Ron Rhodes, Alien Obsession, Harvest House Publishers, Eugene, OR, pp. 60-61. 10 Dr. J. Allen Hynek, The UFO Experience, A Scientific Inquiry, Ballantine Books, New York, NY, p. viii. 1l Chuck Missler & Mark Eastman, Alien Encounters, Koinonia House, Coeur d'Alene, ID, p. 62.
l3hyper/ufo/overview.html, p.11, Chuck Missler & Mark Eastman, Alien Encounters, Koinonia House, Coeur d'Alene, ID, p. 67. 14 Dr. J. Allen Hynek, The UFO Experience, A Scientific Inquiry, Ballantine Books, New York, NY, p. 63. 15 Dr. J. Allen Hynek & Jacques Vallee, The Edge of Reality, Chicago, IL, p. 4. 16 Chuck Missler & Mark Eastman, Alien Encounters, p. 67. 17 John Keel, The Complete Guide to Mysterious Beings, Tom Doherty Associates, New York, NY, p. 152; ufoinfo/roundup/v03/rnd03_30.shtml, p. 5. 18 Dr. J. Allen Hynek, Night Siege, The Hudson Valley UFO Sightings, Llewellyn Pub., St. Paul, MN, p. 113. 19 Dr. J. Allen Hynek, The UFO Experience, A Scientific Inquiry, p. 84. Also in Jay Allen Hynek & Jacques Vallee, The Edge of Reality, p. 4. 20 SCP Journal, Aug. 1977, Volume 1 & Volume 2, "UFOs– Is Science Fiction Coming True?" p. 14. 21 The UFO Conspiracy (DVD), New Liberty Videos, Shawnee Mission, KS. 23 Gordon Creighton, official policy statement of Flying Saucer Review, 1996. 24 Gary Bates, Alien Intrusion, p. 158. 25 Gordon Creighton, quoted in the London Times, February 28, 1997. 26 John Keel, The Complete Guide to Mysterious Beings, p. 153. 29 Dr. Jacques Vallee, Dimensions, 5150 Broadway #108, San Antonio, TX, 1988 (2008 printing), p. 256. 31 Dr. Jacques Vallee, Confrontations, 5150 Broadway #108, San Antonio, TX, 1990 (2008 printing), p. 99. 32 Dr. Jacques Vallee, Messengers of Deception, p. 30. 33 Dr. Jacques Vallee, Dimensions, 5150 Broadway #108, San Antonio, TX, 1988 (2008 printing), p. 260. 34 Dr. Jacques Vallee, Messengers of Deception, p. 20. 35 Dr. Jacques Vallee, Dimensions, p. 258. 36 Dr. Jacques Vallee, Dimensions, p. 272. 37 Dr. Jacques Vallee, Dimensions, pp. 284-285 & Jacque Vallee, Messengers of Deception, pp. 236-237. 38 Dr. Jacques Vallee, Messengers of Deception, p. 68. 39 Dr. Jacques Vallee, Dimensions, p. 109. 40 Also see Bill Barry, Ultimate Encounter, Pocket Books, New York, NY, p. 183. 41 Dr. J. Allen Hynek & Jacques Vallee, The Edge of Reality, Chicago, IL, p. 66. 42 Dr. Jacques Vallee, Dimensions, p. 224. 43 Dr. J. Allen Hynek & Jacques Vallee, The Edge of Reality, pp. viii-ix. 44 Douglas Curran, In Advance of the Landing: Folk Concepts of Outer Space, Abbeville Press, NY, 1985, p. 21. 45 Newsweek, November 21, 1977. Also see Dr. J. Allen Hynek, Lumieres dans la Nuit, No. 168, October 1977, cited in the story, “The Mammoth Encyclopedia of Extraterrestrial Encounters,” pp. 304-305. 47 Dr. J. Allen Hynek interview in UFO Report, August 1976, p. 61. 48 Dr. J. Allen Hynek interview, The Unexplained Column, Allen Spraggett, November 8, 1975. 49 Dr. J. Allen Hynek & Jacques Vallee, The Edge of Reality, pp. xii-xiii. 50 Dr. J. Allen Hynek, New West Magazine, November 7, 1977, p. 24. 51 be-ready/totally.html, UFOs: The Deadly Deception, p. 3. 52 wiki/John_Keel, p. 1. Also see John Keel, Operation Trojan Horse, IllumiNet Press, Lilburn, GA, p. 16. 54 John Keel, Operation Trojan Horse, p. 162. 55 John Keel, Operation Trojan Horse, p. 55. 56 John Keel, Operation Trojan Horse, p. 128. 57 John Keel, Operation Trojan Horse, p. 266. 58 John Keel, Operation Trojan Horse, p. 42. 59 John Keel, Operation Trojan Horse, p. 127. 60 John Keel, The Complete Guide to Mysterious Beings, Tom Doherty Associates, New York, NY, p. 155. 62 Gary Bates, Alien Intrusion, p. 66. 63 The UFO Conspiracy, New Liberty Videos, Shawnee Mission, KS. Also Werner Gitt, God & the Extraterrestrials in Creation 19, September 1997. 65 Dr. Jacques Vallee, Messengers of Deception, p. 26. 66 Ken Ham & Don Batten. Is There Intelligent Life in Outer Space? Answers in Genesis, Brisbane, Australia, 2002, p.11. 67 Gary Bates, Alien Intrusion, p. 72. 68 Dr. Walt Brown, In the Beginning, 5612 N. 20th Place, Phoenix, AZ, p. 247. 69 Dr. Jacques Vallee, Revelations, 5150 Broadway #108, San Antonio, TX, 1991 (2008 printing), p. 240. 70 Weldon & Ankerberg, The Facts on UFO's and Other Supernatural Phenomena, p. 12. 71 Creation and Miracles, Past and Present, can be viewed for free at www.mostholyfamilymonastery.com, For those who want the detailed scientific facts which disprove evolution, see Dr. Walt Brown's book In the Beginning. 72 Dr. Walt Brown, In the Beginning, p. 247. 73 Gary Bates, Alien Intrusion, p. 81. Also see wiki/SETI, pp. 8 & 9. 79 John Keel, Operation Trojan Horse, p. 41. 82 illuminati-news/2007/1110b.html, pp. 1 & 2. 85 Whitley Strieber, Transformation, Avon Books, 105 Madison Ave., New York, NY, p. 256. 87 Whitley Strieber, Communion, Harper Collins Publishers, New York, NY, p. 133. 88 Whitley Strieber, Transformation, p. 232. 89 Whitley Strieber, Transformation, p. 12. 90 Whitley Strieber, Transformation, p. 126. 91 Whitley Strieber, Transformation, p. 36. 92 Whitley Strieber, Transformation, p. 92. 93 Whitley Strieber, Transformation, p. 190. 94 Whitley Strieber, Transformation, p. 180. 96 Dana Koenig, Another Alien Invasion fillthevoid/Ufo/Another-invasion.html. p. 2. 98 Dr. Jacques Vallee, Messengers of Deception, p. 21. 99 Gary Bates, Alien Intrusion, p. 23. 100 J. Allen Hynek & Jacques Vallee, The Edge of Reality, p. 5. 101 J. Allen Hynek, The UFO Experience, A Scientific Inquiry, pp. 33, 127. 103 Chuck Missler & Mark Eastman, Alien Encounters, p. 107. 105 Miller, John G. “Medical Procedural Differences: Alien Versus Human.” In: Pritchard, Andrea & Pritchard David E. & Mack, John E. & Kasey, Pam & Yapp, Claudia. Alien Discussions: Proceedings of the Abduction Study Conference. Cambridge: North Cambridge Press, pp. 59-64. 106 Dr. Karla Turner, Aliens - Friends or Foes?” UFO Universe, Spring, 1993. 113 Dr. Jacques Vallee, Confrontations, p. 17. 114 Dr. Jacques Vallee, Dimensions, p. 9. 115 Dr. Jacques Vallee, Confrontations, p. 177. 116 Dr. Jacques Vallee, Messengers of Deception, p. 14. 117 Dr. Jacques Vallee, Confrontations, p. 158. 118 Dr. Jacques Vallee, Dimensions, p. 238. 119 Flying Saucer Review, Vol. 25, No.1, p.14. 121 John Keel, Operation Trojan Horse, p. 192. 122 Dr. J. Allen Hynek & Jacques, Vallee, The Edge of Reality, p. 117. 123 Carl Sagan, The Demon-haunted World, Random House, 1996, pp. 153-188. 125 Phillip J. Klass, UFOs, The Public Deceived, Prometheus Books, Buffalo, NY, p. 277. 126 Phillip Klass, UFO Abductions, A Dangerous Game, Prometheus Books, Buffalo, NY, pp. 57-58. 127 Dr. Jacques Vallee. Dimensions, p. 289. 130 Phillip Klass, Phillip Klass, UFO Abductions, A Dangerous Game, pp. 9-10. 131 Dr. Jacques Vallee, Passport to Magonia, Contemporary Books, Chicago, IL, p. 93.
l32 Phillip Klass, UFO Abductions, A Dangerous Game, p. 12. 138 Phillip Klass, UFO Abductions, A Dangerous Game, p. 77. 140 John Keel, Strange Creatures from Time and Space, Greenwich, CT, 1970, p. 189. 142 Gary Bates, Alien Intrusion, PO Box 726, Green Forest, AR, p. 159. 143 Trevor James, Flying Saucer Review, Vol. 8, No. l, p. 10. 145 Ruth Montgomery, Strangers Among Us, Fawcett/Crest, p. Il. 148 The UFO Conspiracy (DVD), New Liberty Videos, Shawnee Mission, KS. 149 Lynn E. Catoe, UFOs and Related Subjects: USGPO, 1969, prepared under AFOSR Project Order 67-0002 and 68-0003. 151 For example see Jacque Vallee, Messengers of Deception, p. 163. 152 Brad Steiger, The Fellowship, Doubleday, 1988, p. 170. 153 Clifford Wilson & John Weldon, Close Encounters, A Better Explanation, San Diego, CA, pp. 297-302. 154 Dr. Jacques Vallee, Dimensions, Ballantine Books, New York, NY, 1988 edition (not in new 2008 edition), quote from forward of Whitley Strieber. 160 wiki/Jack_Parsons, p. 1. Also see Dr. Jacque Vallee, Messengers of Deception, p. 216. 165 David Benoit & Eric Barger, Entertaining Spirits Unaware, Heathstone Pub., Oklahoma City, OK, p. 74.